A tradition of democratic struggle, still undaunted. 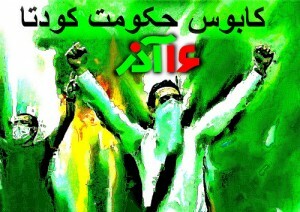 In anticipation of 16 Azar (December 7), the 57th anniversary of University Student Day in Iran, Green students at Tehran’s major universities issued statements emphasizing that they will not stop their struggle for freedom and democracy, and condemning, in the strongest language, the hardliners’ violent crackdown on political, social, and human rights activists. The schools involved include Allameh University, Khajeh Nasir Toosi University, Amir Kabir University of Technology, Iran University of Science and Technology, the University of Tehran, the University of Medical Sciences, and the central campus of Islamic Azad University. Major universities in other Iranian cities, including Mashhad, Tabriz, Shiraz, Esfahan, Qazvin, and Baabol issued similar statements. Students at the University of Tabriz have called for a strike. Well-known student activists from many universities are currently in jail. They include Allameh University’s Majid Dorri, a member of the Committee for the Defense of Education Rights who has been given a six-year jail sentence and exiled to Behbahan; Mahdieh Golroo, also of Allameh and the Committee for the Defense of Education Rights, who is serving a three-year sentence; Khajeh Nasir Toosi University’s Milad Asadi, a member of the central committee of the Office for Consolidation of Unity — the umbrella organization for student activist groups — who has received a sentence of seven years; and Amir Kabir University’s Majid Tavakkoli, who has been given a nine-year sentence. Currently, 80 university students are in jail, serving long sentences after show trials. In addition, students at the University of Science and Technology have declared 16 Azar a day of mourning for the students that have been killed in the struggle for democracy. Twenty-three university students have been killed since last year.